While Toronto is her home, Lisa’s focus is on Canada’s North. Her interests, including Aboriginal issues, mental health policy, domestic social policy and the governance of Canadian institutions, are inspired by her varied academic, professional and personal experiences from Kenya to Northern Québec. Lisa’s passion for public policy – in particular domestic social policy – was awakened during her teenage years when she worked at Christie Lake Camp , a summer camp for economically disadvantaged children. It was there that she met the late Dr. Dan Offord, a child psychiatrist dedicated to improving the lives of children at risk. “Dr. Dan” contributed to leading research in children’s development and mental health through his positions on government advisory boards, as head of a university research institution, as a teacher, mentor and summer camp director. Lisa’s experience working with him was her first exposure to the development and implementation of effective policy and the power of early intervention in mental illness. 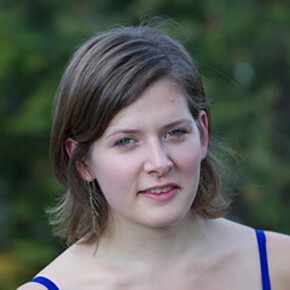 As an undergraduate at the University of King’s College in Halifax, Nova Scotia, Lisa pursued her interest in public policy issues through the Contemporary Studies and International Development Program. While at King’s, she undertook a field study trip to Kenya focused on sustainable international development and the need for multi-disciplinary approaches in addressing complex policy issues. This experience enhanced Lisa’s desire to work for systems-level change and spurred her interest in the governance of Canadian institutions, both at home and abroad. These goals led her to obtain her Master’s of Public Policy from the School of Public Policy and Governance at the University of Toronto. More recently, Lisa has worked for three years as a Research Analyst in the Strategic Initiatives Department at the Council of Ontario Universities. As a member of this team, she worked on a variety of social files as they pertain to the university sector, including access programs for under-represented groups such as Aboriginal students and students with disabilities, as well as students’ mental health. Her responsibilities took her to nearly every university campus in Ontario to meet with representatives from Aboriginal services, health services, disability services and counseling centers. Lisa has been published in Hinge, the University of King’s College Academic Journal and in the inaugural issue of The Public Policy & Governance Review. She is also a photographer, with photos taken during a canoe trip across Northern Québec were published in Kanawa Magazine. As a Sauvé Fellow, Lisa investigated how to improve access to mental health services and the cultural relevancy of mental health assessment tools in Canada’s North. Working collaboratively with Aboriginal communities and organizations to identify public policies and opportunities to improve mental health outcomes, she built on previous policy work to develop approaches that provide access to culturally appropriate mental health services for their communities. Lisa published the results of her research in order to further policy discussion in this field. At the same time, she produced articles and other documents for public consumption on issues related to Aboriginal mental health.